Rise of smaller meetings and need for memorable events are closing gap between independents and chains. The competitive gap between independent venues and well-known hotel chains has narrowed considerably, according to UK data in Cvent’s 2018 Global Planner Sourcing Report. Large chain hotels continue to be UK planners’ first choice of venue but their position isn’t as rock solid as it once was. UK results show that there is a greater desire to produce a more unique and memorable event experience for delegates. 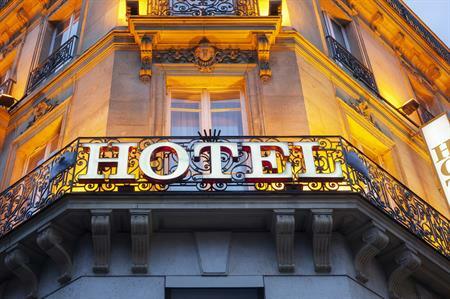 Planners are therefore looking at a wider variety of venues to host their events, with a quarter of UK planners (25%) booking independent hotels compared to just under a third (29%) opting to book large chain hotels. Just under a quarter (24%) also said they organise events at cultural venues – typically museums or galleries. Survey results also indicated that planners considered unique atmosphere much more important to their venue selection decision than brand or chain affiliation. "This year’s study reveals planners in the UK are increasingly looking for a venue that will make their event stand out and help them deliver an even more memorable and distinct experience for their attendees," said Chris McAndrews, vice president of marketing for the Cvent Hospitality Cloud. "Coupled with the fact that there has been an increase in the number of smaller meetings being organised, it’s understandable why independent hotels are now competing so effectively for group business." The study also revealed that there has been a 10% increase in the number of smaller meetings (1-100 attendees) arranged by UK planners since 2017, with more than half (56%) now organising meetings for up to 100 people and a fifth (20%) organising meetings between 1-20 people. Peer recommendations also turned out to be an important part of planners’ venue sourcing decisions. Around 29% of respondents ranked peer recommendations highest among all venue sourcing influence factors.